Volkswagen Group boosted global vehicle sales to above 8 million for the first time in 2011, passing Toyota Motor Corp. and edging closer to world sales leader General Motors Co.
VW Group increased worldwide vehicle sales by 14.3 percent to an all-time full-year high of 8.16 million, the automaker said on Monday in a statement. Europe's biggest automaker was helped by strong growth in the United States, China and Russia and by record annual sales at its VW, Audi and Skoda brands. VW aims to reach annual sales of 10 million by 2018 to become the world's top-selling automaker. GM has not yet reported its 2011 sales, but analysts expect the U.S. automaker sold about 9 million vehicles based on projections from the first three quarters. Toyota estimated that its global sales, including the Lexus, Daihatsu and Hino brands, fell by 6 percent to 7.9 million in 2011. VW CEO Martin Winterkorn said VW will not bring forward the 10-million goal. "It remains as it is for now," he told Reuters. The CEO said he did not expect a recession this year to dampen auto sales. Even if the prospects for Europe are not bright, he said, "We continue to build on the growth of North America and China," Winterkorn said at an event on Sunday on the eve of the Detroit auto show. VW brand sales grew 13 percent to 5.1 million units last year, driven largely by gains in China, the U.S., Russia and India. Audi sales increased 19.2 percent to 1.3 million, boosted by growth in China and the United States. Skoda sales were up 15.3 percent to 879,200, helped by strong growth in India, China, Germany and Russia. Sales at the Seat were up 3.1 percent to 350,000. 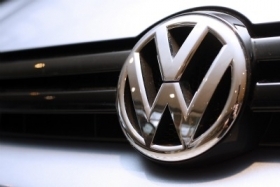 VW Group sales increased by 19.1 percent to 650,000 in December compared with the same month in 2010. See PDF above right for VW sales press release.